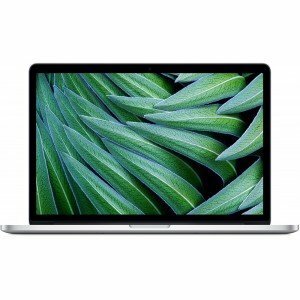 The Apple Laptop MGXC2HN 15-inch MacBook Pro with Retina display features Intel Iris Graphics to handle both everyday tasks and graphics-intensive creative apps. Scroll through large photo albums with ease. Play games with amazing detail. Even connect an external display or two. It’s just another way this 15-inch MacBook Pro is small on size and big on performance. Apple Laptop MGXC2HN designed every aspect of the MacBook Pro with Retina display with performance in mind. From the beginning, the entire internal structure was built to house the very best high-performance components: state-of-the-art processors, graphics, storage and memory. Despite packing such an enormous amount of power into such a slim design, we still achieved an astonishing nine hours of battery life in the 13‑inch model and eight hours in the 15‑inch.2 We also found a way to integrate the highest-quality speakers we’ve ever designed for a notebook. And we engineered a new cooling system that draws in air from three sides of the notebook. Alone, each of these elements is an incredible accomplishment. Together, they make MacBook Pro the world’s most advanced notebook. Designing MacBook Pro with Retina display meant completely rethinking which ports belong on a high-performance notebook. Both the 15-inch and 15-inch models feature the most advanced I/O technology available. They’re the first notebooks ever to include two Thunderbolt 2 ports, two USB 3 ports and an HDMI port — giving you the flexibility to connect multiple external displays, an HDTV and other high-performance devices. Without a traditional optical drive, there’s room for ports conveniently located on both sides of the notebook. Even the slim MagSafe 2 port complements its thin, sleek design. So you can take this notebook anywhere. And be ready for anything.